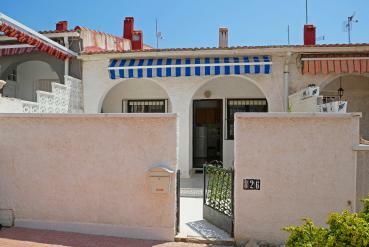 If you are looking for apartments for sale in La Siesta, Alicante, you've come to the right place. In Casas Espania we have almost 50 years of combined experience working in real estate in Spain. We strive to provide a personalized service and close to our customers, always trying to find the property that best meets your needs. La Siesta is located on the outskirts of one of the most important cities in Europe vacation, Torrevieja. This will allow you to enjoy the entertainment options of the city, including bars, clubs, pubs and all kinds of restaurants; and the festive atmosphere caused by the large affluence of people of different nationalities together in this town of Alicante during the summer months. At the same time, La Siesta is only a small urbanization, although equipped with all the services needed for life, is located outside the city, allowing you to enjoy a quiet and calmness that otherwise would be impossible . In addition, a few minutes drive from your La Siesta apartment you will find the beach. Several miles of sand and sea, both within cities and in small isolated coves, perfect for getting lost and rest. If if you prefer another type of outdoor activities in the province of Alicante there are numerous hiking hikes, and a few kilometers the natural setting of Las Salinas de Torrevieja is located. All this with one of the most pleasant and stable climates across Europe. Warm during summer and mild winters, and very sporadic rain. For these reasons, and many more, an apartment for sale in La Siesta is what you need, and Casas Espania, your allies to get it.